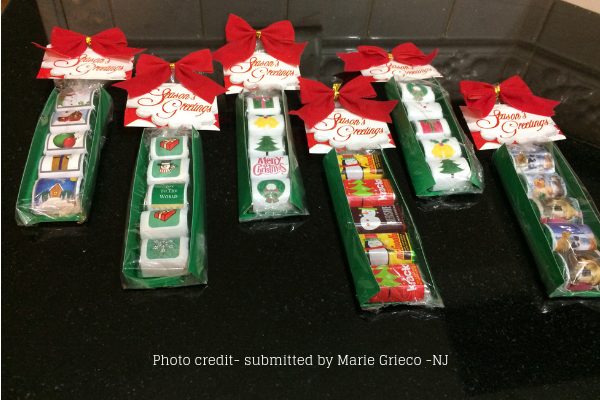 Create these cute Christmas Candy Nugget Treat Bags for holiday gift giving this season. They are easy to make when you have the right template and materials. As a THANK YOU!!!! for being my friend and subscriber I am sending you these candy treat templates that you can make for your family and friends. These templates will be for purchase on my website in coming days… but for you they are free gifts!!! Scroll down page for templates. Here is what you will need to make these. Templates for Candy Wrapper, Card stock container and Tag scroll down page. 1. Print templates and cut out. 3. Make card stock nugget holder/container, fold up side edges of card as in photo. 4. Place double sided tape to secure nuggets on card stock holder/container. 5. Slide candies into cello bag, staple top closed. 6. Finish package with card stock flip card, tape or use glue dots into place. 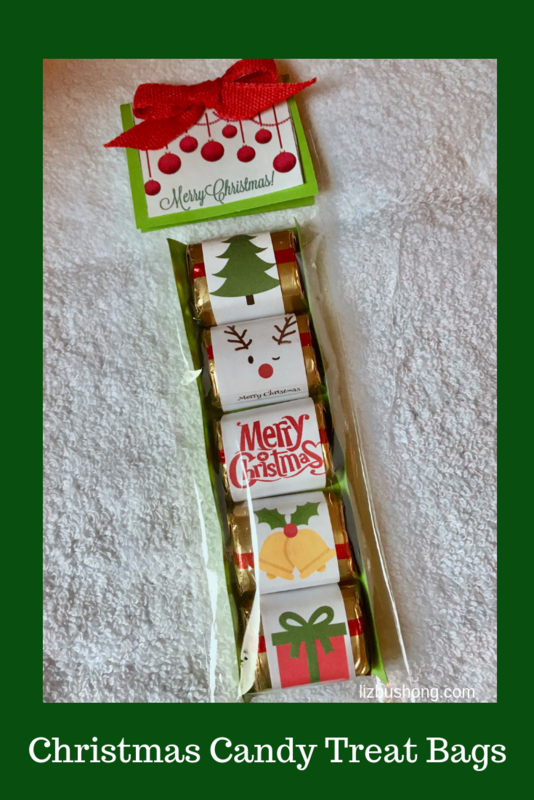 Make card stock package tag by cutting a 2″ x 3-3/4″ piece of card stock, glue or tape ornament Merry Christmas paper over the card stock leaving 1/8″ edges. Open the tag front cover and staple the back side of tag to the cello candy filled bag, use tape to close the flap. 7. Make small ribbon, use double sided tape or glue dots to secure in place. 8. Label back of package tag- Candy type/nuts or nut free/ flavor. I’m so excited to share with you my friends inspired creative version of the Candy Nuggets! Love these Marie Grieco from New Jersey!!! I see my downloads but she added a few of her own which are adorable. Love her bows and gift tags too!!! Makes me want to make more!!! Thank you for sharing !